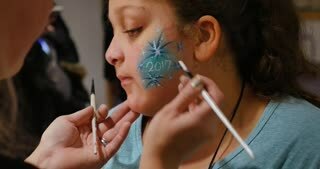 An 11 year old girl gets a funky henna tattoo on her arm at the summer carnival. 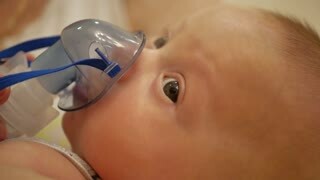 One year old baby boy inhaling from the inhaler, her mother holding her in the arms. Cute caucasian woman with tattoo in silver and black swimmimg suit puts sun spray to her arm. Girl is preparing to sunbathe.